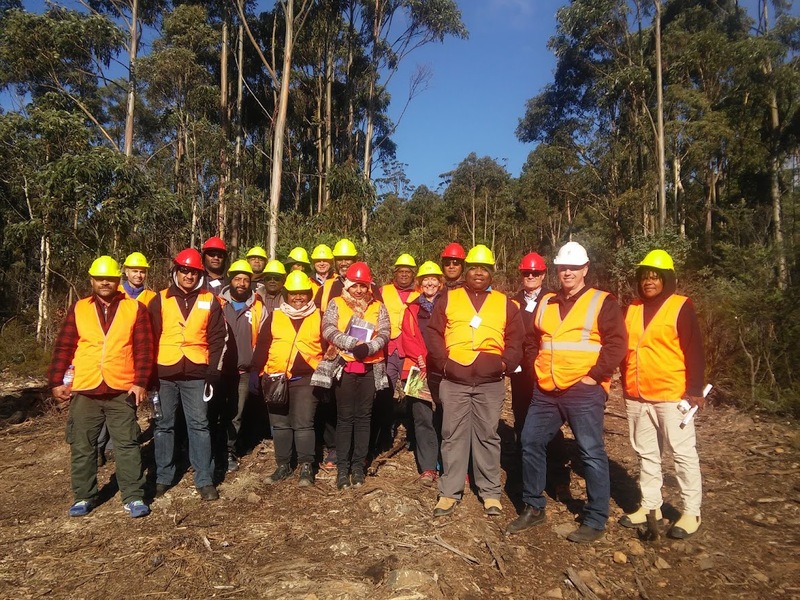 Our Tasmanian Committee has supported training programs in sustainable forest management for some years now and in May supported a study tour by 15 forestry officers from Pacific Island Countries (PICs). Similar training in 2008 contributed to subsequent projects for enhancing the forest management capacity within PNG, Tonga, Niue and Fiji. Group photograph of participants at the field day to study the operation of the forest practices system on private land in Tasmania. 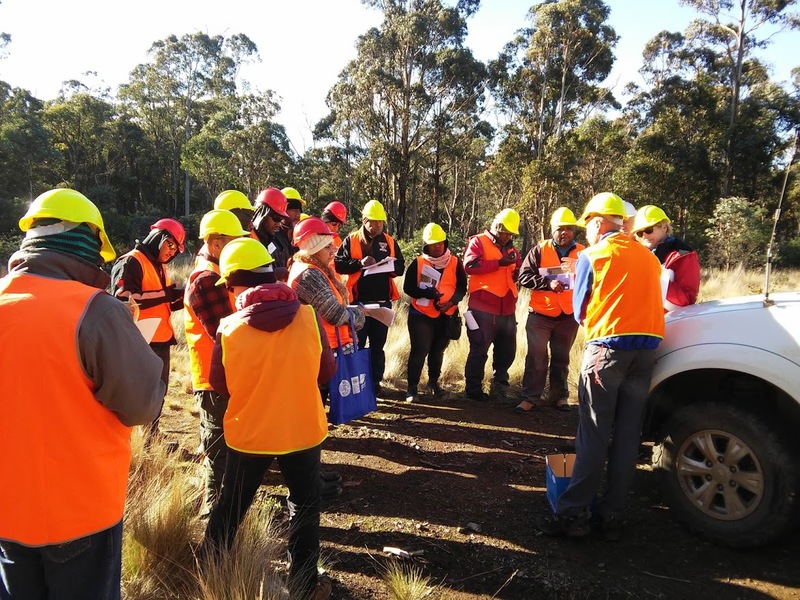 Tasmania is a preferred location for this training because it has a very well-developed forest practices system that applies across both public and private tenures, and the training included involvement from local foresters, both from the public and private sectors. Officers of Sustainable Timber Tasmania explain the forest management systems that are implemented in public wood production zones in Tasmania. “We wanted to provide training in sustainable forest management, focussing on forest research, planning, regulation and the conservation of non-wood values on public and private land. We also looked at the line between forestry and agriculture and how trees are used as part of an integrated approach to land management on private land in Tasmania”, said Graham Wilkinson, Forestry Consultant and former Chief Forest Practices Officer with the Forest Practices Authority. Participants for the tour included senior forestry officers from both public and private sectors in Tonga, Fiji, Niue, Solomon Islands and Vanuatu. Feedback from the group was highly positive, particularly in relation to the design and operation of Tasmania’s forest practices system. 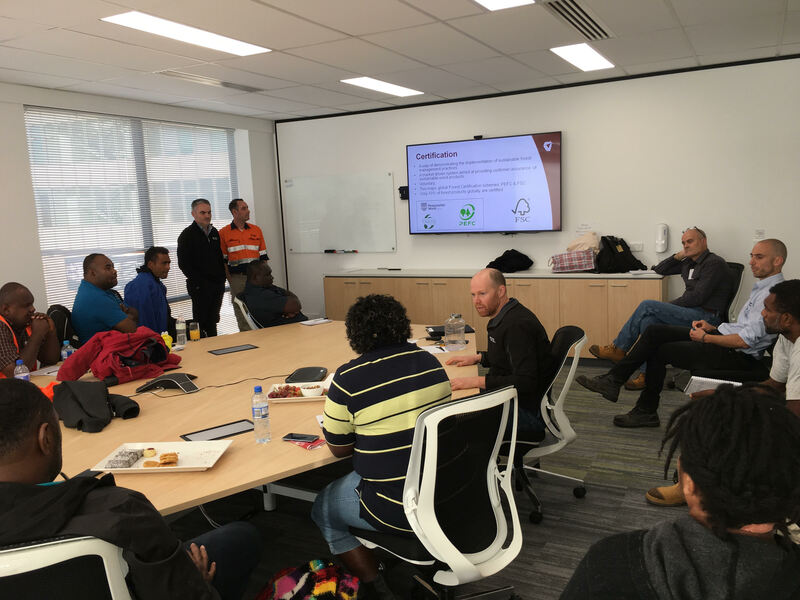 All participants were enthusiastic that many of the aspects of these systems could be adapted to their countries and were keen to maintain contact with their Tasmanian colleagues as they seek to develop and implement local actions to improve their forest management systems. Scientists from the FPA explain how biodiversity and earth science values are assessed and managed during the forest planning process. “The program for the week had a variety of activities, including briefings and field inspections with forest managers, forest industry, Forest Practices Officers (FPOs), landowners and contractors”, said Graham Wilkinson. He noted that topics included forest planning; operational control; monitoring; enforcement and reporting; private forestry; native forests and plantations; fire management; forest research and the development of planning tools; training and education, and technological advances in timber processing. The full training report includes an interesting set of recommendations and key learning outcomes by participants for the different countries involved, and they all agreed they should explore opportunities for work placement and training in Tasmania of officers from PICs with a focus on harvest planning, regulation and the conservation of non-wood values. 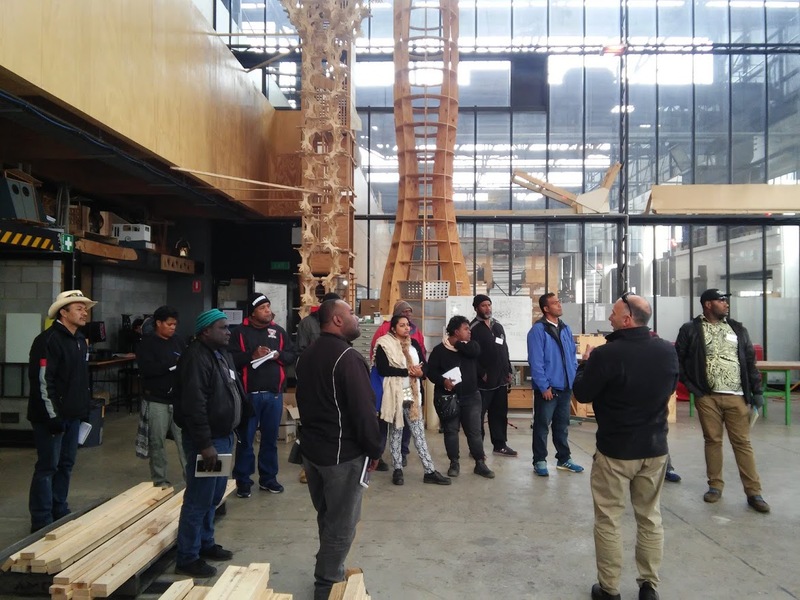 Participants are given a briefing on the research, development and teaching programs of the Centre for Sustainable Architecture with Wood Architecture & Design, UTAS Launceston campus. The training was part of a larger project sponsored by the Asia-Pacific Network for sustainable Forest Management and rehabilitation (APFNet) and the Pacific Community (SPC) to support the development of frameworks for sustainable forest management in Fiji, Tonga and Niue. We thank all those involved, with briefings provided by experts from the Forest Practices Authority, Sustainable Timber Tasmania, Forico, PF Olsen, Norske Skog, Private Forests Tasmania, the Institute of Foresters of Australia and the Centre for Sustainable Architecture with Wood Architecture & Design at the UTAS campus in Launceston.